You are going to find Terminal 11 to be of the most fun spots in town. Peace of mind is absolutely necessary in a world like today. And this place will give you that too. 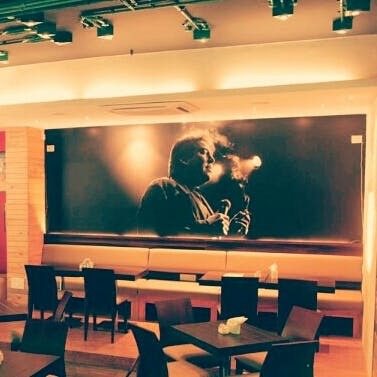 The cafe has a mini stage for events, be it music or stand-up comedy. Book-lovers, there are a couple of walls filled with books for you to read and books to purchase. They have a lot of fun games to play too, like Scrabble, UNO, Jenga and more. It's a guarantee that you will never get bored here. There is something for everybody to do. A good place for the sheesha smokers. Non- smokers, worry not. They have a large non smoking area. The sheesha room is a tiny little space with good ventilation and has various seating arrangements for comfort plus with dim lights. The main section is bright and lively. They definitely need to reintroduce nachos on the menu and improve the feta cheese quantity on the Greek salad. Follow their Facebook page already and get updated on their various fun events. Their cafe frappe, their American mac and cheese, the pesto pasta, the alfredo pasta, the cream of broccoli and the aglio olio are must-haves.